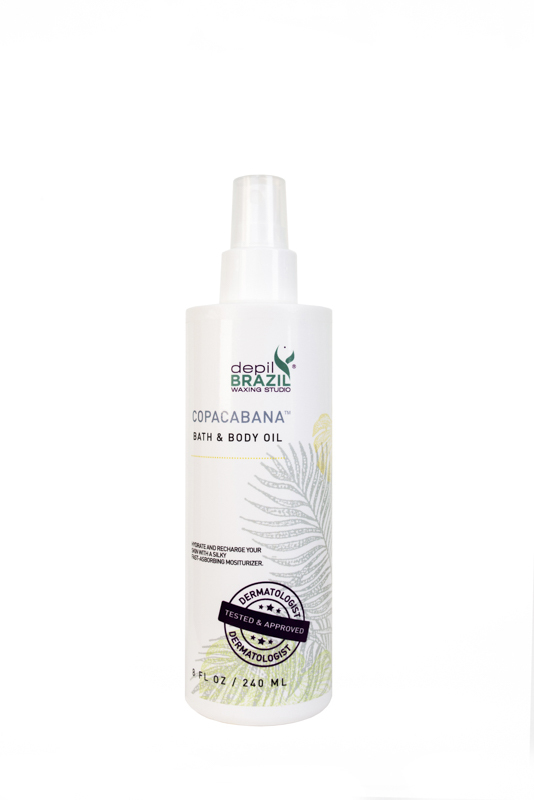 This Brazilian formula is made with natural ingredients that lock in up to 10 times more moisture on wet skin than ordinary lotion can on dry skin, leaving skin soft and silky smooth. This lightweight, fast-absorbing formula is enriched with natural cherry and grape seed oils, two ingredients known for their relaxing and soothing properties. These natural oils provide long-lasting moisture to dry skin, as well as antioxidants to aid in free radical damage. Apply to wet skin after shower or bath to lock in moisture. Pat dry with a towel.